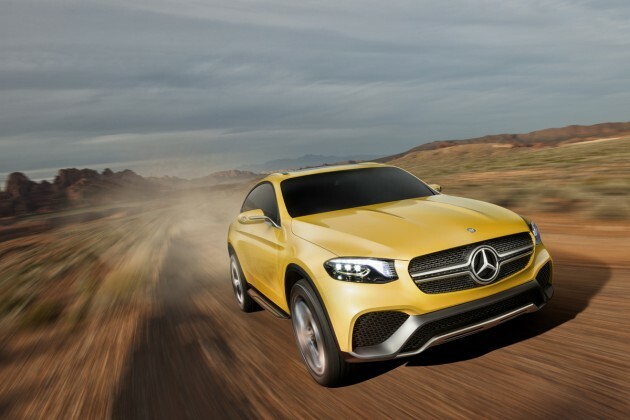 [PHOTOS] Mercedes-Benz Concept GLC Coupé—Or Is That an SUV? 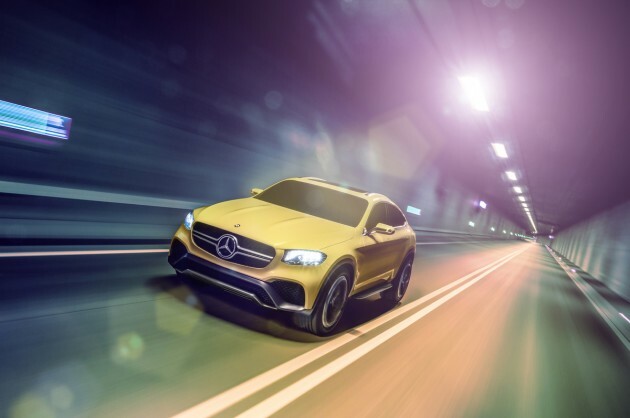 Over the weekend, Mercedes-Benz unveiled its Concept GLC Coupé, which almost passes as a sleek, low-riding crossover SUV. 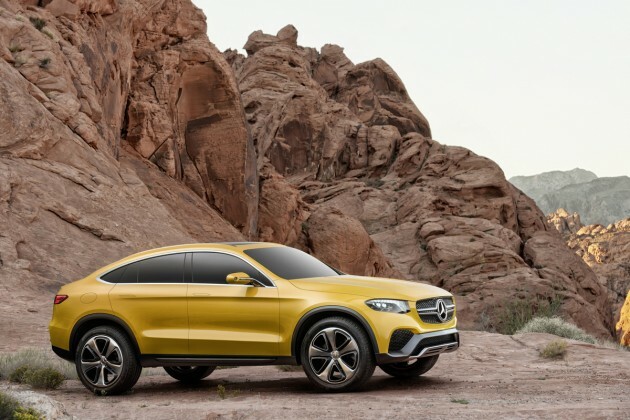 While it is a concept, it’s important to note that Mercedes calls it a “near-production-standard” concept, meaning we could see something very close to this from the German automaker. Though the Mercedes-Benz Concept GLC Coupé is similar to the GLE Coupé, it’s not an exact match. The GLC is more compact, at just 186.2 inches in length and with a 111.4 inch wheelbase. The concept sits on 21-inch wheels and has a bold, powerful stance. LED headlamps give the Concept GLC an expressive face; the front end is also marked by a “short, crisp overhang” that features an “upright radiator grille and twin-blade louvre” that pay homage to the sportiness of other Mercedes models. 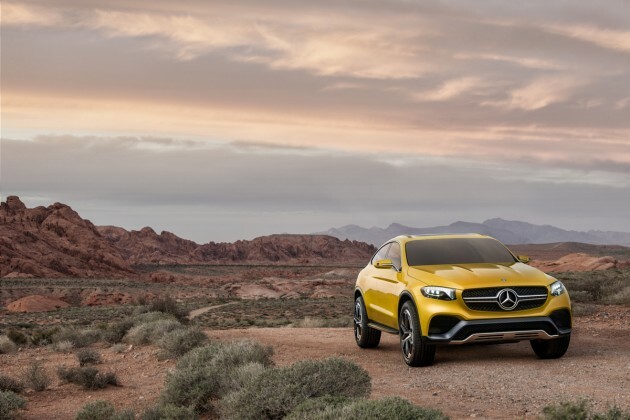 In fact, though it’s an intriguing blend of crossover and coupe, the concept looks like more of a sports car with its sports exhaust, smooth contours, and dome hood. It also drives like a sports car, with a direct-injection biturbo V6 engine mated to a 9G-TRONIC nine-speed automatic transmission on an all-wheel-drive platform. This powerplant is good for 367 hp and 384 lb-ft of torque. In case you’re wondering, it’s the rear of the Mercedes-Benz Concept GLC Coupé that truly give it away as a coupe and not an SUV. The rear features “narrow, split tail lights, centrally positioned brand star, and a sharp spoiler lip” that are akin to the design of the S-Class Coupé.